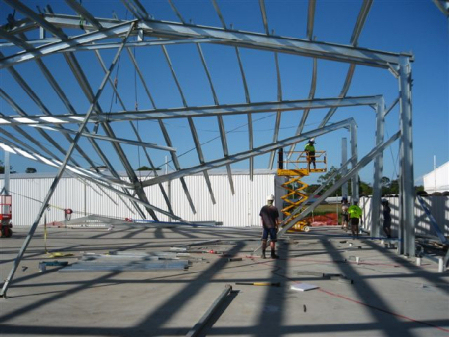 Mecano manufacture standard Cold form C-section sheds up to 20m spans in W41 and 18m spans in cyclonic W50 areas. 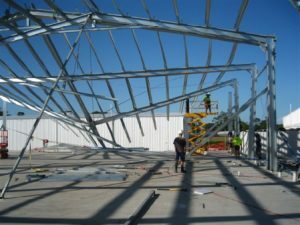 Depending on the size and application, our standard bolt-up frame design can be reinforced, using larger, thicker members for the portals, or back-to-back C-sections, haunch braces, apex braces. 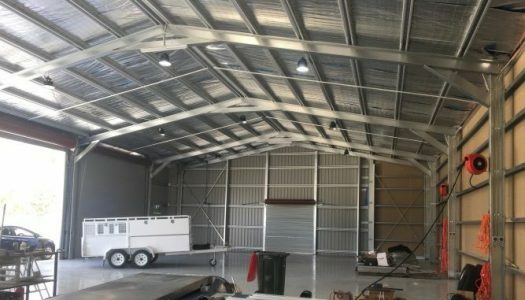 For spans over 20m, Mecano can provide ‘turn-key’ industrial sheds using structural universal beams with C or Z section Girts. Why Mecano Industrial Sheds are stronger! Heavy duty Knee and apex plates are reinforced with apex and knee braces. High tensile bolts to mid portal base plate connections.